Metaphor - Stagefright with ASLR bypass By Hanan Be'er from NorthBit Ltd.
Metaphor's source code is now released! The source include a PoC that generates MP4 exploits in real-time and bypassing ASLR. The PoC includes lookup tables for Nexus 5 Build LRX22C with Android 5.0.1. Server-side of the PoC include simple PHP scripts that run the exploit generator - I'm using XAMPP to serve gzipped MP4 files. The attack page is index.php. 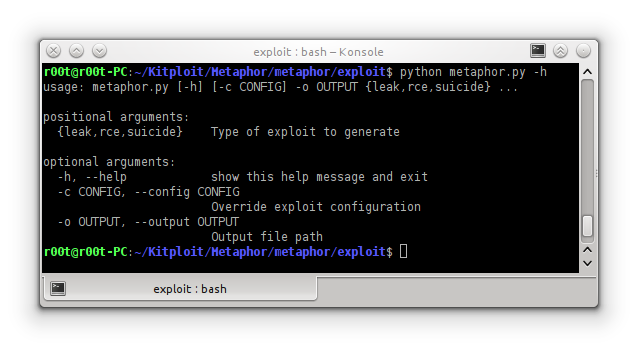 The exploit generator is written in Python and used by the PHP code. Credits: To the NorthBit team E.P. - My shining paladin, for assisting in boosting this project to achieve all the goals.